In addition to our varied weekend line up, The Welly hosts a number of fixed and rotating monthly events, including an open mic, sea shanty singing with The Wellington Wailers and a Folk night with The Rude Mechanicals. Monday nights are home to our quiz (come and have a go if you think you’re nerd enough) and every other Saturday we stage a jazz session. See below for more info. The Wellington’s quiz is garnering a reputation for being a bit of a beast. Every Monday at 9pm, the formidable Reg takes to the mic to throw his well-mastered brain-bogglers at the unsuspecting public. Okay, some are suspecting… but everyone has a hoot. There are six rounds (including a picture round) and the monetary prizes are calculated according to the number of participants and teams formed. If you’re not boss-eyed by the end then stay for the snowball. This, like the main event, costs £1 to enter and is an individual quiz consisting of 6 multiple choice questions that start easy and get harder. Once you get a question wrong you are out. The winner wins all. 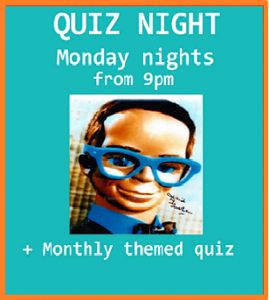 Oh, and the first Monday of every month we encourage a guest quiz master. Anyone is welcome to have a go. 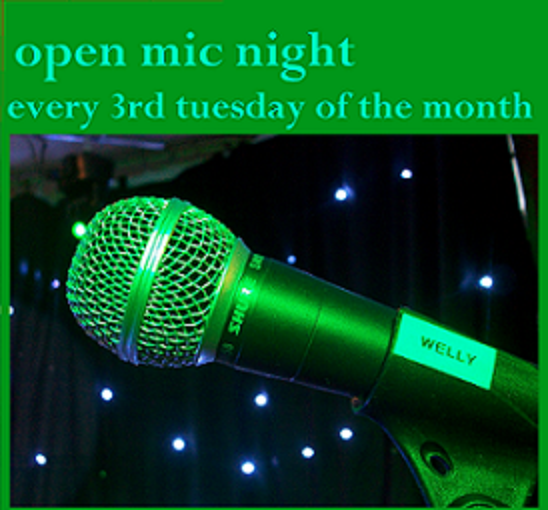 Hosted by guitarist and singer-songwriter Matt Szul, our Open Mic evening encourages musicians of all styles and abilities to perform in a relaxed and supportive environment. Whether trying out original material or performing traditional and popular classics, Open Mic @ the Duke is an ideal platform to develop music skills and for sharing performance space with fellow musicians. Check in with Matt on your arrival to request a slot. An eclectic mix of music guaranteed! The Rude Mechanicals are a Sussex-based multi-instrumental trio (occasionally augmented by musical pals to form larger bands) playing a very wide variety of music. Their material is mostly from the English, European and American folk heritage but often spans other musical traditions. 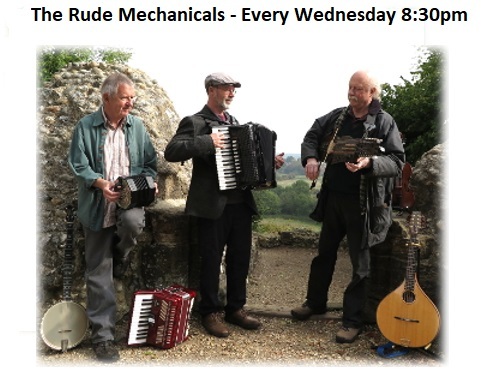 Come down on a Wednesday from 8:30pm for an informal and somewhat unpredictable acoustic evening with a wide range of instruments and material, occasionally augmented by musical pals for even more variety. Captain Mike Green leads the sixteen strong Sea Shanty Crew, in work shanties, songs of the sea and tales of ‘Derring do’ upon the historic oceans. 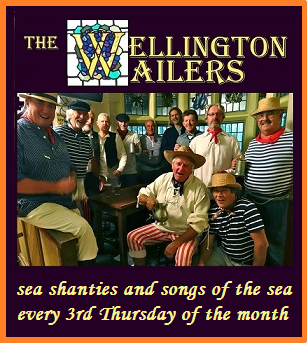 They have developed a well-deserved reputation for singing rousing harmonious songs and have become regulars at many Sussex venues, the International Sea Shanty Festival in Falmouth and frequently appear in front of “Seasalt” clothing shops on days of celebration. Their first cd “High Tides and Low Life” was recorded in Shoreham Lifeboat Station on the stern of the Shoreham Lifeboat “Enid Colette”. It’s been featured on the Mark Radcliffe Folk show on BBC Radio 2, and sales of the cd (and fund raising) have raised many thousands of pounds for the local RNLI. You can purchase your own copy of ’High Tides, Low Life’ from behind the bar for £10.00 which includes a £5.00 donation to the RNLI. 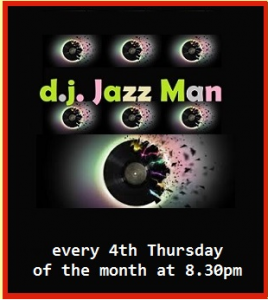 Celebrating over a 100 years of African – American jazz & popular music styles, DJ Jazz Man cooks up a contrasting blend of sounds. With classic tracks of the 30s & 40s big band and swing era, 50s bebop and the birth of the cool, modern jazz, 60s groove & ambient, and the global sounds of 70s fusion, there is sure to be something for every taste! 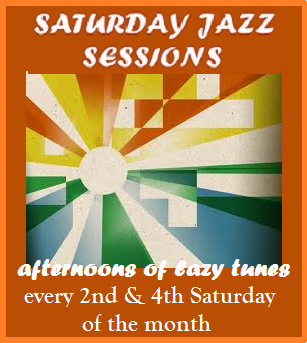 Our very popular Saturday Jazz Sessions are now to be staged twice a month, on the second and fourth Saturdays of each month. Starting at 3pm, the sessions provide a platform for performers to try out new and standard material. Core performers are Andy Worthy on saxophones and flute, & Matt Szul on acoustic and electric guitars. Guests have included singers such as Michele Nardell and Zoe Lewis, with other players always being welcome to join in. A totally free event and a perfect way to relax on a Saturday afternoon.